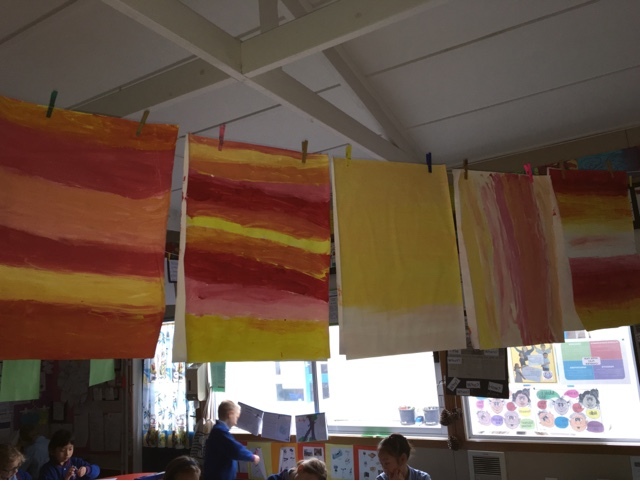 Room 20 @Sunnyhills: Painting with warm colours! We have been looking at the complementary colours on the colour wheel. Our backgrounds are going to be complimentary to the main colour palette of our birds. 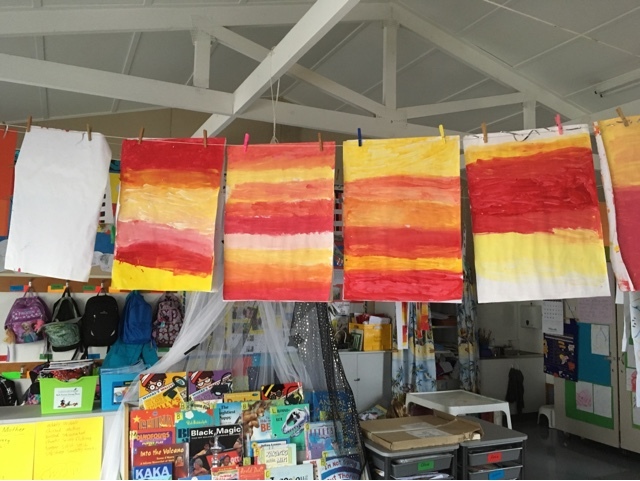 We have used white to blend into red and yellow to make new colours.